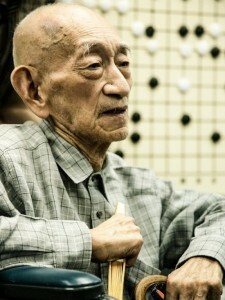 Go Seigen, regarded by many as the greatest go player ever, passed away at 1:11 am on November 30 in Japan. Go Seigen had celebrated his 100th birthday earlier this year, joined by go players around the world. “We mourn the passing of a truly great master and celebrate his life and the deep understanding of the game he left us with,” said American Go Association President Andy Okun. Born in China on June 12, 1914, Go Seigen (Wu Qingyuan in Chinese) did not start learning the game of go until he was nine, a relatively late age for a professional. But he quickly excelled and soon became known as a go prodigy, immigrating to Japan in 1928 at the invitation of Baron Kihachiro Okura and Inukai Tsuyoshi (later prime minister of Japan), where he embarked on a professional career. He was tutored by Segoe Kensaku, the same teacher as Hashimoto Utaro and Cho Hunhyun. 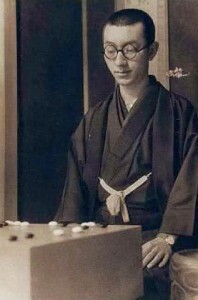 In 1933, along with his great friend Kitani Minoru, Go Seigen developed and popularized the Shinfuseki that broke away from the traditional opening patterns. It is for this very important contribution that Go Seigen and Kitani Minoru are recognized as the fathers of modern go. Starting in 1939, Go Seigen began a spectacular series of Jubango matches against other top players of the day. It was through these matches that Go Seigen convincingly demonstrated an overwhelming dominance over his contemporaries. Go Seigen had only one formal disciple – Rin Kaiho, Honorary Tengen. Go Seigen’s star began to fade in the early 1960s due to health reasons and he had to virtually retire from playing professional go by 1964. 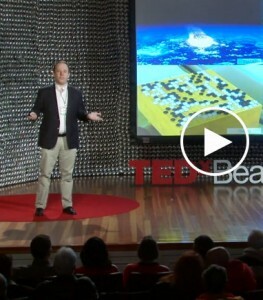 However, he continued to remain active in the go community through teaching, writing, and promoting go around the world. Includes reporting in Go Game Guru and Wikipedia; photo (left) by Zhang Jingna. Dropped in on the Gotham Go Club last Tuesday night during a visit to New York City to see longtime friend and go colleague Roy Laird. Despite Thanksgiving being just two days away, the club was bustling with activity, as it reportedly is each week. Had a fun time watching games and a quick pick-up game with a young student from China; it’s a great club well worth the visit if you’re in town! - Chris Garlock, Managing Editor, American Go E-Journal. Check our Facebook page for more photos. Got go travel tales — or photos — of your own? Send ‘em to us at journal@usgo.org! The Shanghai Ing Chang-ki Wei-ch’i (Go) Educational Foundation, will be holding the semifinals of 12th Annual Chinese Professional Chang Qi Cup Invitational Tournament in Cambridge, MA, next fall, along with two new side tournaments intended for the North American go community, the EJ has learned. The Chang Qi Cup, jointly hosted by the Ing Foundation and the China Go Association, now one of the most prestigious of the domestic Chinese go tournaments, was started in 2004 in memory of Taiwanese businessman and go benefactor Ing Chang-ki. 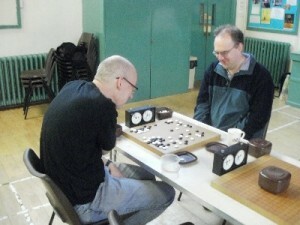 Past winners have included greats such as Gu Li 9p, Kong Jie 9p and Chen Yaoye 9p. According to AGA President Andy Okun and Michael Fodera of the American Collegiate Go Association (ACGA), the Ing Foundation and Mr. Ing’s son, Ying Ming-haw, have decided to take advantage of the 2015 semis to provide a promotional event for American players and to strengthen ties between the North American and Chinese go communities. The semifinal matches will take place Sept. 26-28 at Harvard University Student Center. Alongside the main event, on Sept. 26-27 the Foundation will be sponsoring a tournament for college students to be run by ACGA and a tournament for amateurs to be run by the AGA, both with major prizes, Okun and Fodera said. There will also be simultaneous games with visiting professionals, commentary on the semis, and side trips to meet go players in Washington DC and New York on Sept. 29 and 30. “This event will have something for everyone, tournaments for those who crave the competition but also teaching events, an opportunity to watch the best players in action and a chance to get together with old friends and make new ones,” Okun said. Watch the EJ for further details as they’re available. 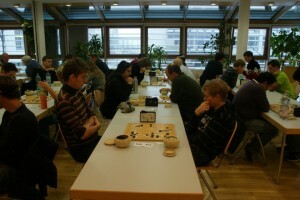 Sweden: The Gothenburg Open finished on November 23 with Charlie Aakerblom 4d in first, John Karlsson 4d in second, and Erik Ouchterlony 4d in third. Romania: Also on November 23, Ionel Santa 2d took the Romanian Cup Semifinal in Bucuresti. Pierre Boulestreau 1d came in second and George Chirila 1d was third. 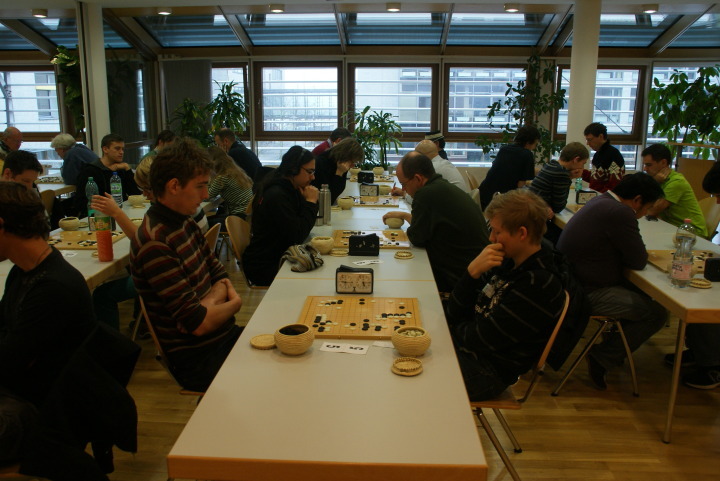 Finland: Jaakko Virtanen 2d (left) bested Jesse Savo 4d at the Turku Championship on November 23 while Tuukka Muroke 2d placed third. Nihon Kiin Chairman Wada Norio on November 25 announced a donation of $2M to serve as the seed fund for the new Iwamoto North America Foundation for Go (INAF). 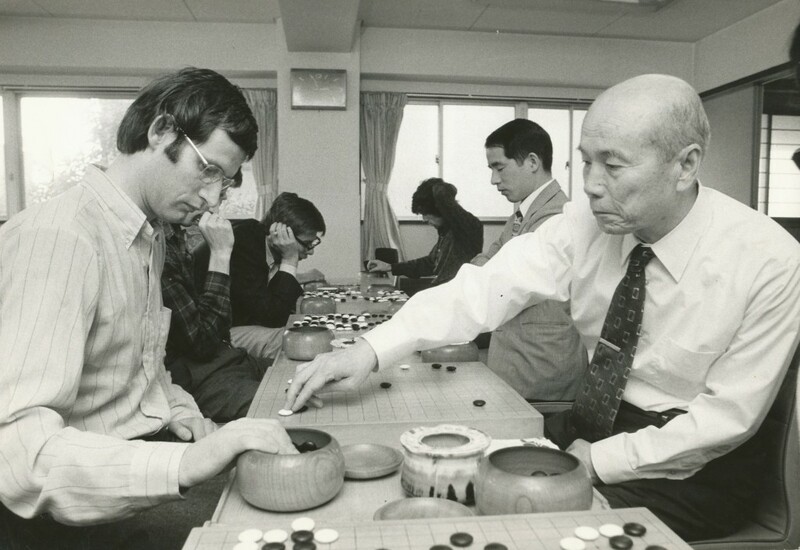 INAF was founded earlier this year (Iwamoto North America Foundation for Go Takes Next Step 8/11/2014 EJ) to support the promotion of go in North America according to the vision and wishes of the late Japanese go master, Iwamoto Kaoru (at right in October, 1970). “We’re very glad to see that, after nearly two years of effort, the Iwamoto North American Foundation is now ready to move into action,” said Thomas Hsiang, who is serving as Executive Director of INAF. “We thank the Nihon Kiin Board, which gave unanimous consent to the donation. In the coming years, the INAF Board looks forward to restarting an East Coast Go Center and to funding new go promotional and exchange projects.” INAF will seek proposals for these activities; updates will be posted on the official INAF website. Other INAF officials include Norio Wada, President, Andy Okun, Masaki Shusuke, David Weimer and Yamashiro Hiroshi, Directors. On November 15th and 16th, the Seattle Go Center welcomed Yu Hou 6 P from the Nihon Ki-in for a workshop event. 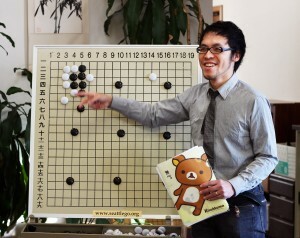 “Kuma Sensei” provided instruction on a variety of basic go techniques to a group of eager students. As the participants learned about go, Kuma Sensei had the opportunity to practice English, giving everyone a chance to study. For both days, the workshop followed the same routine, with the morning schedule starting at 9:00am. Kuma Sensei began by holding a lecture, followed by review of participant games, and then with everyone going to eat lunch. 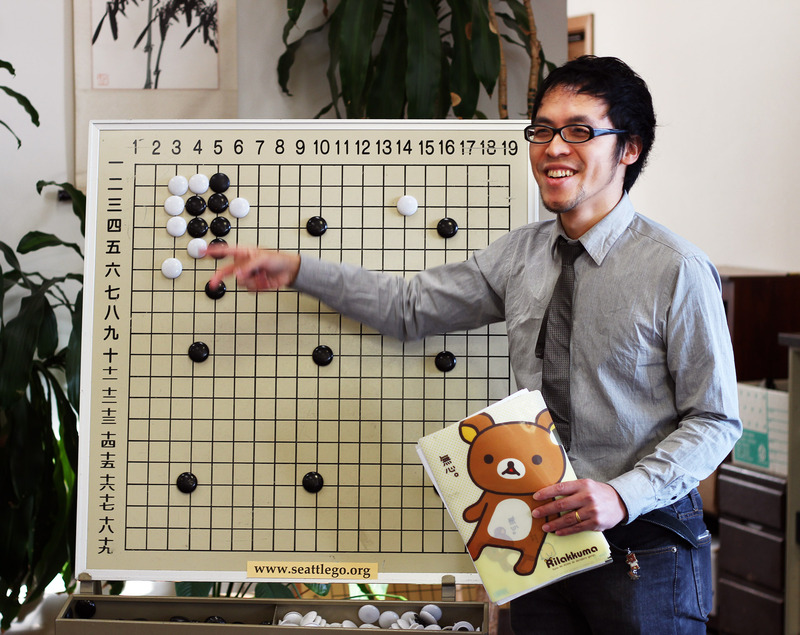 In the afternoon, after playing simultaneous teaching match with the participants, Kuma Sensei reviewed the games. Saturday’s lecture on about the Double Approach was truly great, captivating the attention of all of the students. Even though the lecture covered basic techniques, not only beginners, but also dan players thought it was a very interesting lecture. Thanks to Kuma Sensei’s way of speaking and sense of humor, everyone was delighted. Personally, I especially enjoyed the time after the event on Saturday – while eating dinner with Kuma Sensei, we could discuss a variety of cross-cultural topics outside of go. It was truly enjoyable. The workshop, being only two days, really seemed to end too quickly. Chimin Oh 7D, a former go instructor from Korea who now lives in England, won the €1000 first place prize in the November 14-16 “Go to Innovation” tournament which drew fifty-five players from around the world to Berlin, Germany. Viktor Lin (5-dan, Austria) came in second and won €500 and Zebin Du (6-dan, China) won €250 for third place. Rita Pocsai (4-dan, Hungary) won €500 from Omikron Data Quality GmbH, for best performance by a female player. She also won the €100 prize for her 10th place finish. No one won the jackpot prize for winning eight games. In fact no one managed to win seven games. Click here for complete results and a photo gallery. There were eight rounds and the Hahn Pointing system, developed by Professor Sang-Dae Hahn of Myongji University, was used to determine tournament winners. Instead of assigning 1 or 0 for a win or loss , the Hahn system awards points from 0 to 100 based on the difference in game counts. Close games with a difference between .5 to 10 points in game counts results in the winner receiving 60 points and the loser 40 points, but a decisive win with a difference of 40 points or more results in the winner receiving all 100 points and the loser receiving nothing. This encourages fighting, aggressive games. Gerry Gavigan Takes Second Place in Cork: Gerry Gavigan 13k from South London took second place in the 2014 UCC Tournament, held in the Mardyke Pavillion of University College Cork. President Closes Out the Spanish Inquisition: In the Pandanet Go European Team Championship, the UK’s match against Spain on 18th November was split 1-1, so Board 1 was played a day later, with BGA President Jon Diamond winning to give the UK it’s third win of the season and second place in the C-League behind Bulgaria. 12 Tapped for European Youth Online Team Tourney: A dozen young players have been selected to represent the UK at the first European Youth Go Team Tournament on KGS. They played their first match against Romania on 15th November, posting a 1-4 loss. The second match is against Italy on 29th November. Matthew Cocke Regains Three Peaks Title: Matthew Cocke won the Three Peaks title for the fifth time, sweeping all five games at the Commodore Inn in Grange-over-Sands. Runners-ups were Roger Huyshe 4k and David Cantrell 6k, each with four wins. 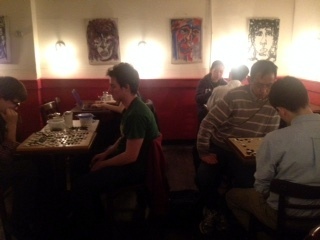 31 players took part, including organizer Bob Bagot.